Atty. 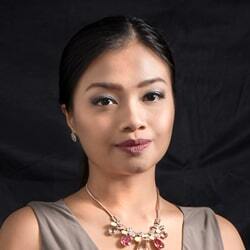 Sheryll Joy L. Calayan-Medina is a Legal Counsel in Kittelson & Carpo Consulting. She provides legal advice to local and foreign investors on the ideal investment vehicle they can use to do business in the Philippines. Prior to joining K&C, Sheryll worked with government institutions, such as the Department of Justice, Office of the Secretary, and the Legal Service Division of the Bureau of Customs. She also provided comprehensive legal services to several private corporations such as Fast Cashnet Phils., Harbor Star Shipping Service Inc., and ManilaMed – Medical Center Manila. After completing her degree in law, she worked as an Associate for the Law Firm of Kalaw Sy Selva and Campos (KSSC), where she obtained extensive experience in corporate and labor law. As an associate, her work ranges from attending to legal matters of corporate clients, including advising, vetting and drafting agreements relating to legal transactions; reviewing service literature, proposals, policy contracts, and brochures; and providing legal advice on complaints against corporate clients or employees. She also handled corporate secretarial work such as scheduling and preparing board and committee meetings, meeting agenda, board materials and invite; planning and preparing for annual stockholders’ meeting; and managing corporate records as well as preparing corporate secretary’s certificate of board actions. In 2012, Sheryll worked as an apprentice for the Public Attorney’s Office of Pasay, where she primarily assisted in legal research and drafting various pleadings, motions, and position papers for criminal cases.